A number of Jewish Home MKs on Monday criticized the leadership of their party, saying the party leader Naftali Bennett and his close confidante, Ayelet Shaked, were allowing themselves to be “pushed around” by Yair Lapid and his Yesh Atid party. The same applied to the negotiations being held by Tsipi Livni, the MKs said; the re just wasn't enough time to deal with Yesh Atid's agenda and the agenda they were elected to fulfill, the MKs said. “We hope that Jewish Home will begin to lead the agenda, and not be dragged behind Yesh Atid,” they said. 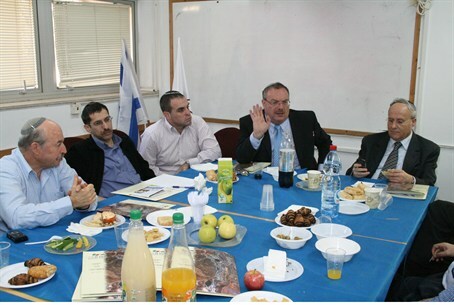 Several months ago, Jewish Home MKs decided that any issue of state and religion that went against the stances held by the Chief Rabbinate and Religious Affairs Minister Eli Ben Dahan would be automatically vetoed by the party. “In reality, the party has backed down on this when it comes to confronting Yesh Atid,” the MKs said.